Just some of the books our grads have published. Do you have a book idea? Make it a reality through our two-year, limited-residency MFA program. Our faculty and mentors — a lineup of award-winning authors and editors — offers expert instruction and guidance as students plan, research, write and pitch their projects. 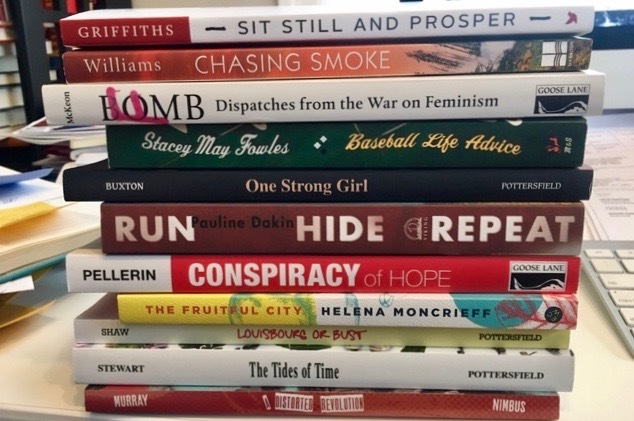 There are two weeks of residencies on the King’s campus each summer, plus week-long winter residences in Toronto and New York where students network with authors, literary agents, editors and publishers. Join our growing list of graduates who have already published or have publishing deals in the works. Canada’s only MFA in Creative Nonfiction limited-residency degree program is hosting a Meet & Greet in Halifax for potential students. It’s your opportunity to talk to faculty, mentors, students and graduates, and to consider whether it’s for you.